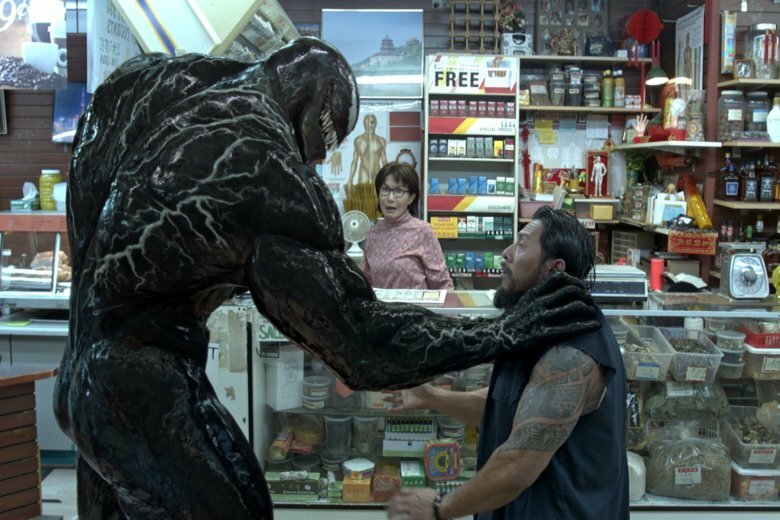 In a weekend of perfect counterprogramming for Hollywood, the comic-book movie "Venom" shrugged off bad reviews to shatter the October box-office record with an $80 million debut, while Bradley Cooper's "A Star Is Born" soared to $41.3 million. “Venom” came in a critically panned, much-doubted foray by Sony Pictures to kick-start a Marvel expansion away from “Spider-Man.” Warner Bros.’ “A Star Is Born” remake rode a wave of hype, Oscar buzz and acclaim for Cooper’s directorial debut and Lady Gaga’s first leading performance. That was more in question for director Ruben Fleischer’s “Venom,” starring Tom Hardy as the antihero who first appeared in 2007’s “Spider-Man 3.” The film earned a dismal 32 percent “fresh” rating on Rotten Tomatoes. In “Venom,” many expected another studio misfire with “cinematic universe” ambitions. The two films dominated the marketplace, though in limited release, Fox 2000’s “The Hate U Give” opened with $500,000 on 36 screens. That gave George Tillman Jr.’s adaptation of Angie Thomas’ best-selling young adult novel, starring Amandla Stenberg, a modest $14,000 per-screen average. The film is set to expand nationwide in the next two weeks.